Newcastle have scored only 14 goals in our twelve Premier League games, but we have still managed to get wins in our last five league games, where we have eked out three 1-0 home wins – and are depending on our strong defense not to concede too many goals. In those five league wins we have conceded only one goal while scoring seven. Papiss Cisse hasn’t played many minutes over the last three games, and he missed a bit of a sitter in stoppage time on Saturday, so it would be good if Papiss can get in the goals again. Don’t get us wrong – we are not complaining at all about this Newcastle side, and it’s been fabulous what the team have achieved since the 1-0 defeat at Stoke City, but it’s about where we can make some improvements – which is what Alan Pardew will be thinking about. And while striker Perez has come through very well for us this season, Facundo Ferreyra has not – and we are probably still short of one good striker, once Many Riviere returns to the fray. And if Ryan Taylor can keep fit, the Liverpudlian provides a threat from set pieces – and we’ve been missing that ever since Yohan Cabaye left the club almost a year ago. One area where Moussa Sissoko can improve his game is in scoring goals – and he has scored only three goals in each of the previous two seasons in which he made a total of 56 appearances. “It was my first goal of the season.” “I am very happy.” “I said this season I will try to score between eight and 10 goals. That was Sissoko’s first league goal of the season, but he also scored in the Capital One Cup win at Manchester City, so he has two goals in his 15 appearances this season, and hopefully is on track to do a lot better. We also need to see some goals from Remy Cabella, and also from Sammy Ameobi and Rolando Aarons from the wings. It’s also been a long time since Yoan Gouffran last scored for us – Gouffran scored 10 goals in his first two seasons for us – but has yet to score this season. We need the defense to keep playing well – and maybe we need another striker brought in during the January transfer window? Here’s the list of goalscorers for this season. Next Post Does A Loan Spell Beckon For This Top Newcastle Youngster? Haidara should have had a penalty on Saturday for the shove in the back. Would likely have been a goal for Ryan Taylor and the roof would have come off. Sav – one thing I wondering on Saturday – who is the official penalty taker now that Shola is not here? Raylor is an obvious candidate but when he is not playing then who? lilo – thanks for the toe update, So we could expect Abeid to be back sooner than I had thought. If Coleback was a decent finisher he could have had 3 already this seaeson. Sissoko is playing great but he has missed good chances too. Cabella has shown he is never going to score! Taylor would of taken it at the time of the Hiadara shoved in the back. after Taylor went off – wouldn’t have a clue who would take the penalty – how about Dummet got a hell of a dig on him. As for winning 1-0 – are we the new Arsenal – 1-0 to the Arsenal was the shout !!! hope not – as I am on the edge of the seat waiting for us to make a mistake. You’re right. I need to keep up. This blog is rapid fire. It’s a full time pursuit to keep up. I think I might tweet Cabella about the pronunciation of his name. I cannot believe Dummett was not in the top 4 players from Saturday (previous article). Apart from too many long balls nowhere, he’s been outstanding defensively. It’s his positional play that you can’t easily see on TV. I agree on Sissoko but he was relatively quiet early on by his standards and only began to impose himself as the second half wore on. blackley – that would be the best way to find out exactly how HE pronounces his name. Do you think he would respond? Thats me off for the day – back later on tonight. The thing I take from this thread isn’t we haven’t scored enough it’s we’ve shared 14 goals between 9 different players. It maybe of concern our fowards haven’t scored more but the spread of goals throughout the team is a good thing. The more goal threats you have in your team the better IMO, it’s easier to mark a 20goal a season striker out of a game but much harder to mark the majority of a team. Im a big fan of sharing goals throughout the team as your not reliant on one or two players, the more the merrier as far as I’m concerned. Dont need 2 sign any striker. All we need is de jong back from injury. What’s most worrying is that only six teams have scored less goals than us. This is why Mike Ashley has to sell tickets at £15 to get a full stadium. 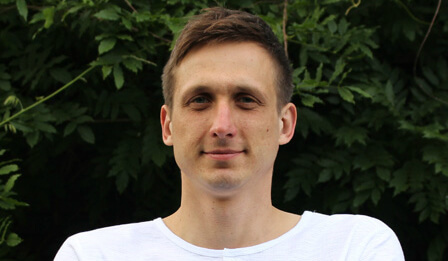 Conor Wickham? Jesus talk about aiming low. The best thing that ever happened to us was the injuries certain players got. My fear is that once we get everyone back pards will resort to playing Sissoko on the wing AGAIN. Abeid will get dropped, as will Perez!! The youth lads have stepped up, I know Raylor is popular on here but he isn’t good enough and we shouldn’t be sentimental when referring to him. Maybe Pardews near death experience and a read of sackpardew.com has made him change his ways, he might have also taken on advice from other manager pals where as before he was just to damn stubborn to listen to anyone but himself. Just a thought. Cisse has only played 3 games mostly sub and still scored 4 goals! Riviere has only played 5 games, so stop whining! The bald windbag is moaning about cheap tickets now! Whickham is only 21, and is playing for a team that can’t make any decent scoring opportunities, so give it a rest knocking the kid, just like when Colback signed, the usual no nowt was on here moaning! repost from our top 4 players of QPR game. ..
why isn’t haidara mentioned in this top players list is beyond me. he’s in the sun dream team this week and played absolutely fantastic. can someone explain why he hasn’t been talked about ? Steven fletcher the mackems main striker has only scored 4 goals in 14 games and Whickham has scored 2 goals in 13 games! No doubt the sackpardew campaign has had an affect. It’s funny as pundits and some on here who are for pards being manager said it would do the complete opposite. 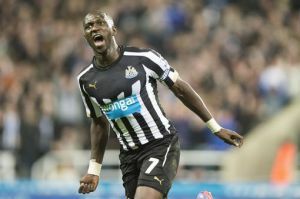 The biggest factors in this turnaround have been the likes of Sissoko. Playing him centrally has definitely ensured that we have seen exactly how good a player he is. Abeid he was up for sale….350k and he would have went before a ball was kicked. A whole morning of sensible football chat and in steps the resident troll to enlighten us with his wisdom and charm. Steven Fletcher is shite and Whickham is worse. Connor Whickham joined the mackems as a promising striker, since then he’s had failed loan moves to lower leagues and managed 1 purple patch last season which lasted for 6 games. Since then he has reverted back to the shite he always was and is….I’d be very surprised if he makes it in the prem. Please tell me Whickham games to goals stats over the last 3 or 4 seasons!! I think the media scrutiny sackpardew.com brought help galvanise the team, all we need now is the football to improve and see a few more goals. Haidara was very good on Saturday, as was Dummett both players had a better game than Colback who again gets praised for running a lot but without really doing anything. Sammy had a decent game as well and so did Perez considering he was up against the big lad Dunne!! Maybe the thought of players returning is keeping those players on their toes, if we sell Santon simply because Haidara is keeping him out of the team it could well affect Haidaras good form. I noticed someone’s a bit touchy about a mackem player, mmm wonder what that suggests. Wickham hasn’t quite become what was expected, but then again he has played many of his games as a winger, not up front. The only time he has had a run as a centre forward of more then 3 games in a row in the Prem was when he hit is purple patch. Coincidence, maybe or more likely a run of games in his proper position allowed him to show more of his ability. After all, both Ba and Cisse struggled for goals when they were shoved out wide in the Newcastle team, so why shouldn’t a young kid? @35 have a look in the mirror if you want to see a mackem close up! I think some players over the past 12 months haven’t deserved to play but will do so as they are pards favourite players. The youngsters have bought something fresh but he will soon blame tiredness and fatigue and drop these lads for his favourites. Haidara is another player most fans wanted to see at LB and he’s played well whenever given the opportunity. Santon needs to stay as he is excellent cover for either wings or fullback positions. Yes I think Santon could be reverted back to winger he was when he started his career but never as a holding midfielder as was tried against Chelsea away last season. @30 According to some Colback was supposed to be awful! Whickham spends most of his time on left wing. A few of my SMB pals constantly moan about him, main reason is he’s always on wing and he’s useless there. Their resigned to losing him and aren’t bothered, if he takes Fereyea position and we sign someone else I’d take him.